Throughout this website, you will see an example price given for each of our kitchen ranges. This price includes the current sale offers and is based on a 14 unit, “all-inclusive fitting” kitchen package. 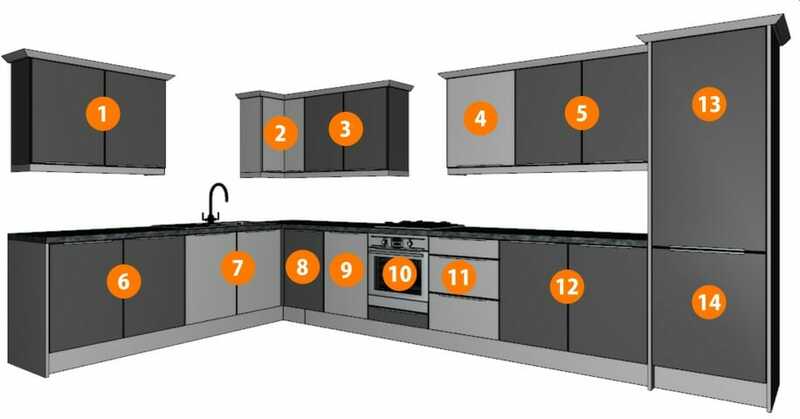 We have used 14 units as this number tends to be the number of units required to fit an average size kitchen. Naturally, the kitchen design example shown may not fit your kitchen size, or may not necessarily be the layout you want! It’s simply a guide to what each kitchen range would cost, without appliances and optional extras. We’re so confident that our all-inclusive, fully installed kitchen deals are the best you’ll find on offer, that we’re happy to better any competitors price and even offer you a best price guarantee. Remember, our prices are for fully installed kitchens, ripped out, re-wired, plastered, plumbed-in, wired-up and working, NOT just supply-only prices or dry-fit prices you get from our competitors! If you hear that phrase, it means that all your plumbing and electrical work is at extra cost! Not really a proper quote then, is it? With us, it’s all-inclusive fitting all the way….. so the price we quote is the price you pay! What’s included in our kitchen range price examples? Our price examples are based on an all-inclusive 14 unit package. The 14 units can be any width of base or wall unit in any combination, from a single door unit at 150mm wide through to a double door unit 1200 wide! A tall unit counts as two units. Want less or more than 14 units? Then we make a price reduction and vice-versa! Our price examples include 40mm laminate worktop. You can have as much worktop as necessary included in the price, as long as it’s going to be fitted over a base unit or an appliance. If the worktop is to be designed over an empty space or void area, such as for a breakfast bar, then there is a surcharge. You can upgrade the laminate worktop to solid wood, granite or quartz worktops for an additional cost. Continuous plinths or kickboards up to 3m are included in the prices shown and are coordinated to match the colour and style of the doors. There may be occasions in longer length runs where a join will be necessary. Cornice moulding, (the trims above the wall units) is available on most kitchen ranges in various styles and finishes. Some kitchen ranges have more than one style of cornice moulding to choose from. The prices include these mouldings where applicable. Some modern, or contemporary kitchen ranges do not have a cornice moulding included. Pelmet or “lighting-rail” mouldings, (the trims below the wall units) are also available on most kitchen ranges in various styles and finishes. Some kitchen ranges have more than one style of pelmet moulding to choose from. The prices include these mouldings where applicable. Some modern, or contemporary kitchen ranges do not have a pelmet moulding available. Many of our kitchen units have adjustable height shelving. This is an option you can have at no extra charge. Our prices include coordinated base end and wall end panels on most ranges. There are some higher-end kitchen ranges which have upgradeable “plant-on” end panels at an additional cost. All our kitchen cabinets have full-height 18mm back panels included in the price. Mastercraft® Kitchen Cabinets include Blum® door and drawer fittings as standard. These are regarded as the best quality brand in the industry. All our price examples include Blum® fittings. Our price examples include a 600mm 3 drawer-pack unit. You can have up to 4 drawers within the prices shown. Many other drawer sizes and configurations are available. Drawers are also available, at an extra cost, on base units, as a drawer-line alternative. Some of the alternative drawer pack configurations (up to 600mm wide) are within the package deal prices shown but wider width ones (up to 1000mm wide) are available at further cost. As a bespoke kitchen manufacturer, we can produce hundreds of alternative drawer designs and configurations for your kitchen design, to suit your needs. Included in our example prices are a selection of top quality kitchen sink and tap packages. Choose from more than 36 sink styles and finishes and more than 32 tap styles within the package price, or upgrade if you wish to include a specialist sink and/or tap. Additional sinks and taps can be added for utility rooms and for other purposes at an additional charge. Our prices include a free moulded cutlery tray to suit a suitable cutlery drawer. Other styles and qualities of cutlery tray can be ordered at an upgrade cost and other types of drawer insert, such as plate holders and dividers can be added to your order. Our prices always include free home measuring and we always double-check the sizes of your room by carrying out a free home technical survey before a kitchen goes into production. We offer a free, professional Mastercraft® home design and kitchen planning service, suitable for use with our made-to-measure Mastercraft® kitchen units. Our designers have many years of experience in this area and every designer is fully conversant with our products and the latest market trends. We produce 3D computer generated drawings to make it easier to visualise your design. We carry out a supplementary technical re-measure and survey of your kitchen before the commencement of your kitchen installation. This survey is free of charge and included in the price. You can alter your design, change colours, add other products to your order or upgrade your worktop choice at this point. We also check the suitability of your existing wiring, gas and water services. There may be issues that arise if your home is not up to the current legal building and electrical requirements. Or we may find that the position of your current services may not be suitable for the design to work. A typical example of this could be that your fuse board is not up to the current safety regulations. Or you may not have any wastewater drainage pipework nearby to connect your appliances or sink to. You will be given the opportunity to have this corrected before we start or we can carry out this work for you if needed, at an additional cost. All our fully-fitted kitchen price examples include the free delivery of your kitchen units, appliances and components to your home or place of installation, anywhere in mainland Great Britain. The prices shown are for the supply and delivery of your kitchen. If we are running a free fitting promotion then the prices also include our standard installation package. This includes the ripping out of your kitchen, the fitting of your units, trims and worktops and any appliance electrical, gas and water connections to a suitable existing supply within 3m of the appliance position. New additional sockets are free if they are to power an appliance we have supplied. We can carry out plastering work, tiling and structural work at additional competitive prices. All Mastercraft® cabinets are top quality, manufactured to the best industry standards and carry a full 25-year warranty. We also guarantee the quality of our installation workmanship for 12 months, This cover is included in the prices shown. Terms and conditions apply. Find out more about our unique all-inclusive fitted kitchen package deals. Supplied using our high quality rigid-built kitchen cabinets and accessories. * Any size width denotes units from 150mm wide up to 1200mm wide. Tall units count as 2 units from the package. Feature units, such as curved units, glazed units, dresser units etc. count as one unit but are upgrades to the package deal price. Packages are based on 720mm tall wall units. Extra tall 900mm tall wall units are also available as upgrades. How much will my kitchen cost? This is quite often one of the most important questions you want answering. 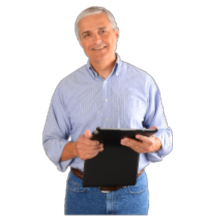 But, without an on-site visit to measure up and a list of your wants and needs, it’s an impossible question to answer accurately. However, what we can say is that the price of a made-to-measure Mastercraft Kitchen is very competitive with standard-size kitchen brands and start at around £8,000 for a basic fitted kitchen package but can go upwards to £80,000 or more, depending on kitchen style, the number of units, appliances, and which upgrades you want such as building work. So we really do have something to fit all budgets. The usual price range of a new, fully installed, Mastercraft kitchen can be anywhere between £8,000 and £35,000, so it’s really impossible to give an accurate price without measuring up. Our prices are for Mastercraft’s high quality, made-to-measure and pre-built kitchen cabinets and fittings, not just standard size, off-the-shelf, flat-pack ones as supplied by the majority of our competitors. We give you an idea of the starting price of our kitchen ranges by displaying the price of a 14 unit kitchen package next to each kitchen’s description. For a more detailed description of what a 14 unit package deal is, please see the video below. Click on this icon to magnify the image. Click on this icon for more information on the kitchen range including the price. It’s essential to have a good idea of your budget when we start planning your new kitchen. Without a proper budget our designers will assume money is no object and quickly run up the costs. You need not fear the price if you already have given us an idea of your budget. Knowing your budget will help us work more efficiently. If you know you would like a high gloss handleless look for example, and your budget is, say, £15,000 we can then show you ranges and layouts within that budget. We’ll probably also have gloss doors at lower and higher price points, so we can show you various options and you can choose which is best for you. Remember to also budget for any utility services, appliances, worktop upgrades and building work you may need plus the installation of your new kitchen. See our Installation and Fitting page for more information about our service. So, why not meet and talk to one of our Kitchen Designers. Even if you just want some advice, we’ll be happy to help. Most certainly! We have many customers who have owned a Mastercraft Kitchen for over 23 years and others who have bought three or more from us over the years. This not only shows that the quality of our kitchens will stand the test of time but also that the price, quality, and service that we offer is very good and brings customers back to us time and time again. We’ll always offer you the most competitive price we possibly can. One that reflects the quality of our products, the expertise of our designs and the experience of all the people who deliver our service. Yes, you can always find a cheaper kitchen somewhere else but will it be of the same high quality, with the same high standard of fitting? And what would happen if something went wrong? We’ve been in business for over 20 years and have built our reputation on making sure our customers get good value for money and good after sales care. For added reassurance, we offer a Best Price Guarantee, so that if you do manage to find the same quality kitchen and a better price at another retailer, we will not only match the price but beat it by a further 5%. *Based on a 14 unit, kitchen, with an all-inclusive installation package, with laminate worktops, excluding appliances.